Back to the Cool Cat Lady fashion series: Meet Lazzari! Today we’re traveling to Italy to meet Lazzari, one of my favorite brands ever. Lazzari is a small family-run business, producing capsule collections and achieving the “Made in Italy” high standards. Their clothes have the best quality, I can assure you that, and they’re made with love. A fashion studio run by cats. Lazzari’s relationship with cats is very special, as there’s always a cute little feline wandering the brand’s studio. Not long ago, it was an exotic black kitty named Luigi, who could be found hiding among the fabrics and sewing machines. Sadly, Luigi recently passed away, though his memory will forever be kept in our hearts… And our dresses, because many times he inspired Lazzari’s design process. In fact, you can still watch Luigi welcoming us to the Lazzari studio in this adorable video. 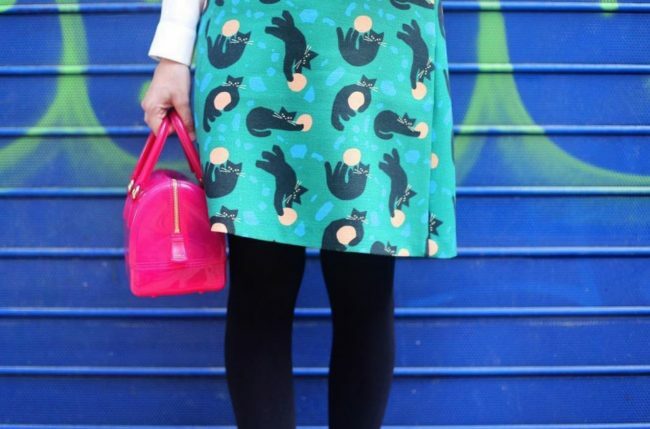 Catarina’s Luigi-inspired Lazzari skirt is just too cute! I think the Lazarri walls couldn’t live without a cat. So, it was no surprise to me when they inducted a new feline mascot: Leone, the super cute caramel Persian, who is now the youngest member of the Lazzari family. 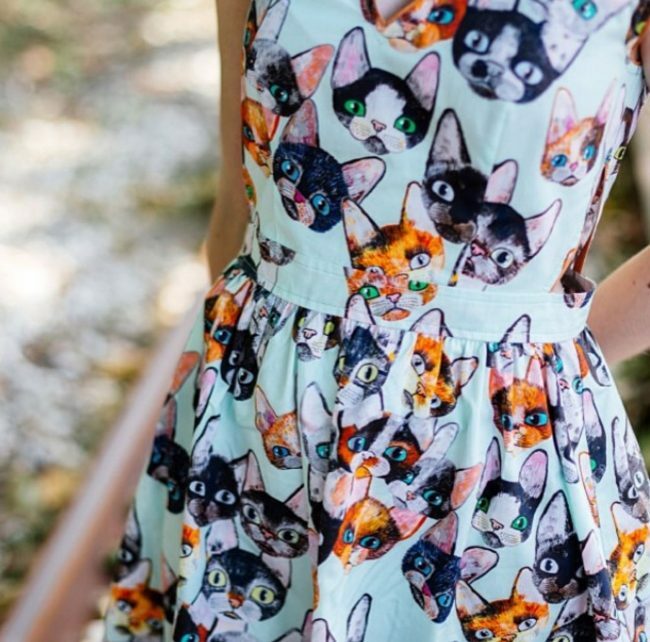 Irresistible cat lady fashion, indeed! 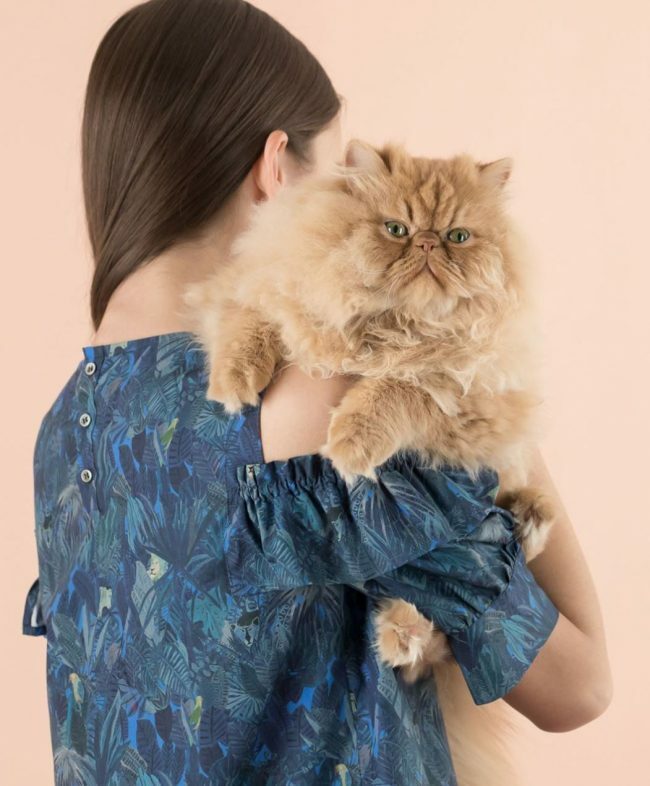 Of course, all of this passion for cats had to be shown in the brand’s collections, most of the time in form of beautiful patterns, created in collaboration with illustrators from all around the world. They’re impossible for a cat lady to resist! There’s also an iconic t-shirt by Lazzari that will always be a favorite for me; the one with the cat sleeves. Isn’t it the cutest thing? The cat presence in Lazzari’s pieces continue to shine in unexpected ways, like through little, embroidered details or in their signature collars. 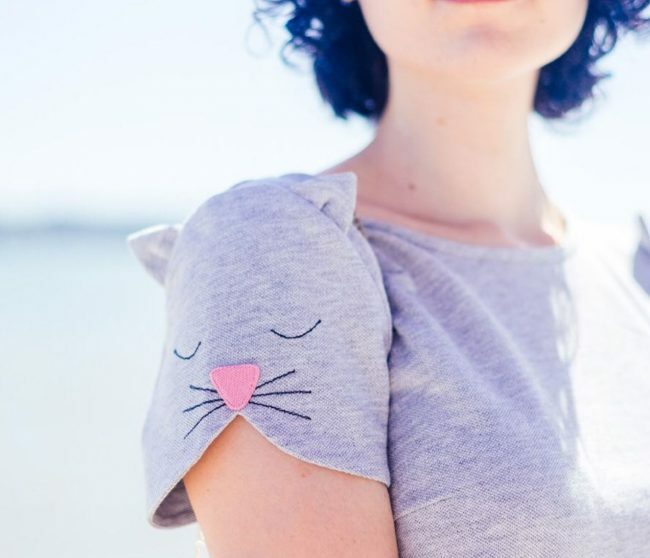 Lazzari’s current collection doesn’t feature any cats yet, but I believe that cats are a theme the brand will explore again. Meanwhile, we can always delight ourselves with their pieces from previous years. I’m sure you’ll love them as much as I do! 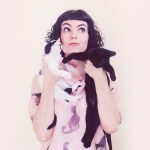 Catarina (a.k.a Cat) is a Portuguese cat lady living in Lisbon with her husband and their two cats, Mickey and Minnie. She’s the author of Meow Meow by Cat, a blog about her personal universe with main focus on her style. Besides cats and clothes, she loves to daydream while listening to music.